We are excited to introduce the GTX 335D and GTX 345D, two diversity transponders that provide optimal Automatic Dependent Surveillance-Broadcast (ADS-B) Out coverage and visibility while operating throughout the global airspace system. The GTX 335D offers ADS-B Out, while the GTX 345D provides ADS-B Out, as well as ADS-B In traffic and weather for display on compatible avionics and mobile devices. Remote-mount versions are also available. The GTX 335D/GTX 345D are intended for qualifying aircraft that may prefer or require a diversity solution, while also meeting or exceeding global ADS-B airspace requirements. Select G1000, G1000 NXi and G3000-equipped aircraft have an elegant and simple path to incorporate a diversity transponder-based ADS-B solution using the GTX 335D/GTX 345D. A remote-mounted version of the GTX 335D or GTX 345D takes the place of the aircraft’s transponder and interfaces with the aircraft’s existing WAAS position source to meet ADS-B Out requirements. The GTX 345D is capable of displaying various ADS-B In benefits, including subscription free Flight Information Service-Broadcast (FIS-B) weather1 and ADS-B traffic on the primary flight display (PFD) and multi-function display (MFD). In addition to integrated flight deck compatibility, the GTX 335D/GTX 345D interface with a variety of other Garmin avionics, flight displays and mobile devices. These include the GTN 650/750 and GNS 430W/530W navigators, the G500 TXi/G600 TXi/G700 TXi and G500/G600 flight displays, as well as the aera 796/795 and aera 660 portables. These transponders are also compatible with the Garmin Pilot, FltPlan Go and ForeFlight Mobile applications, as well as other third-party avionics. 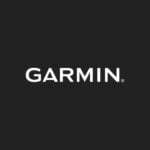 Display capabilities vary, visit the Garmin website for full compatibility details. The GTX 345D unlocks more capabilities for pilots by displaying ADS-B traffic and FIS-B weather on compatible products in the cockpit. 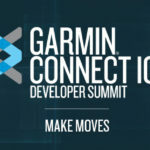 Exclusive features such as TargetTrend and TerminalTraffic further enhance the display of traffic within Garmin products. The GTX 345D also includes a dual-link ADS-B receiver that provides pilots with a complete picture of ADS-B equipped traffic. The GTX 345D may be integrated into the aircraft’s audio panel to provide ATC-like audible alerts, such as “Traffic: 10 O’Clock, same altitude, two miles” to help pilots keep their eyes outside the cockpit when looking for traffic. FIS-B weather products include NEXRAD, METARs, TAFs, PIREPs, winds and temperatures aloft, NOTAMs, AIRMETs and SIGMETs. New FIS-B weather products, including lightning, turbulence, icing (current and forecast) and cloud tops are currently capable of displaying on Garmin Pilot and the aera 660. Additional Garmin display compatibility with these new FIS-B weather products is expected later this year. The GTX 335D and GTX 345D ADS-B transponders have received Technical Standard Order (TSO) authorization from the Federal Aviation Administration (FAA) and deliveries for select installations will begin next week. We will have an updated Aircraft Model List (AML) Supplemental Type Certificate (STC) in late Q2 2019 comprising of hundreds of aircraft makes and models. The GTX 335D and GTX 345D are available for a list price of $6,495 and $7,995 respectively. For additional information regarding the industry’s most comprehensive line of ADS‑B solutions, visit: www.garmin.com/ads-b.